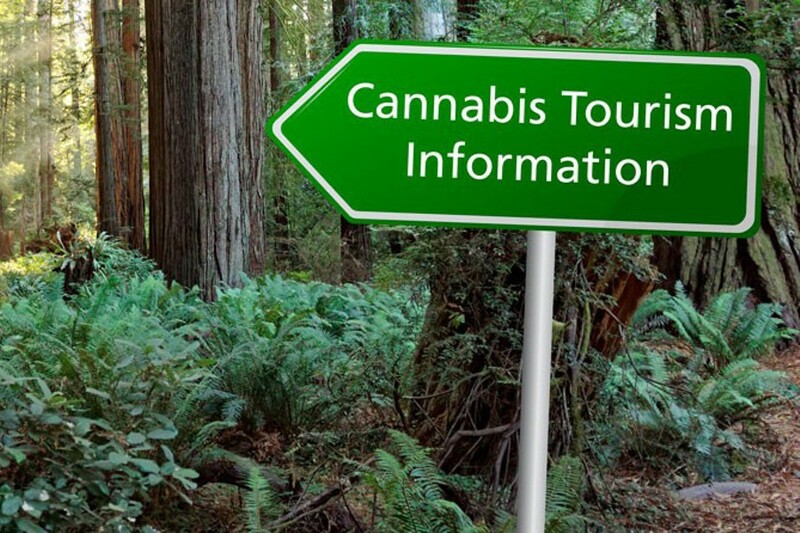 Cannabis Convention and Visitors Bureau? That's the question asked, pointedly at times, during an annual presentation from Humboldt County Convention and Visitors Bureau Executive Director Tony Smithers to the county board of supervisors. Walking supervisors through a power point presentation touting his private nonprofit organization's efforts to bring tourists to the North Coast, Smithers noted that the county brought in about $7.5 million in hotel bed tax revenue over the last fiscal year, about a $700,000 increase over the prior year. Occupancy rates were up, Smithers said, as are average room rates, touting his organization's mission of economic development through "heads in beds." Richard Stenger, the bureau's media and marketing director, told the board of its successes in getting out-of-area media attention on visiting Humboldt County and its world-famous redwood forests. The biggest such success, Stenger said, was the region being named 2018's best travel destination in the United States by the renowned tourism guide book Lonely Planet. That designation alone, Stenger said, had earned 1 billion impressions online from around the world. And the pair talked about future plans — most notably a revamp of the organization's website and a marketing push surrounding United Airlines soon-to-be-launched direct flight from Humboldt County to Los Angeles. But notably absent from the presentation was a single reference to the county's cannabis industry. It was an omission Fourth District Supervisor Virginia Bass jumped on after the presentation, asking whether cannabis tourism is "on the horizon" in the bureau's plans. Smithers indicated it is, but not immediately. He said with Redwood National Park celebrating its 50th anniversary this year, "it's the year of the redwoods," intoning that would limit — or even exclude — any plans to market Humboldt County as a cannabis tourism destination. He added that the bureau's focus is a mix of "destination marketing" and "destination management," adding that the cannabis industry has some "endemic problems" and needs to become "part of the solution." Addressing the board during public comment, Humboldt Cannabis Growers Alliance Executive Director Terra Carver said that while her organization supports the bureau's efforts she is "very concerned with the lack of cannabis" in its plans. The board, she said, passed a landmark cannabis land use ordinance four years ago and has continued to be on the forefront of regulating the industry, most recently with the consideration of an ordinance that would allow farm-based retail sales, farm stays and tours. "Why would an organization, after four years, not have a plan to incorporate cannabis into their strategy?" she asked. "Just imagine if Napa didn't market wine." Chuck Leishman, the Journal's general manager and publisher of its Insider tourism magazine, warned the board that he sees Humboldt County in danger of entering a "severe recession" as it transitions out of an "underground" cannabis economy. The county has national brand recognition when it comes to cannabis, Leishman said, and marketing that to potential tourists would help strengthen the local economy. Mariellen Jurkovich, who owns the Humboldt Patient Resource Center, which runs a dispensary in Arcata and is working toward getting one permitted in Eureka, told the board she'd like to see someone from the cannabis industry on the bureau's 21-member board of directors. She said she sees the bureau marketing "wine and dine" opportunities in Humboldt and wonders why cannabis wouldn't fit into that approach. When the discussion came back to the board, Third District Supervisor Mike Wilson asked Smithers when and where the bureau's next board meeting — a meeting already slated to include the cannabis conversation — is slated to be held. Smithers replied that while Wilson is welcome, the public isn't, noting that his organization isn't subject to California's open meeting laws. "Is this where discussions will be made about how public monies will be spent?" Wilson asked. Smithers indicated any marketing plan approved by his board would have to come back to the bureau's funding agencies for approval. Second District Supervisor Estelle Fennell commented that — underground or regulated — the local cannabis industry is already putting heads in beds, noting that when Napa County markets the wine industry it showcases people imbibing in a "beautiful environment." "We've got both," Fennell said, referencing nationally renowned cannabis and beautiful settings. From there, the board voted to accept the bureau's report and moved on but not before Board Chair Ryan Sundberg lobbed one more question Smithers' way. "I think you heard the message, huh?" he asked. Thadeus Greenson is the Journal's news editor. He can be reached at 442-1400, extension 321, or thad@northcoastjournal.com. Follow him on Twitter @thadeusgreenson.